In the peaceful space colony called Earth II, even toy guns are banned. But something far more dangerous threatens this ideal world: a Chinese satellite armed with three nuclear warheads. 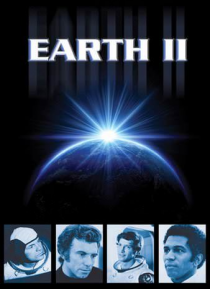 The citizens of Earth II decide to disarm the warheads, despite China's warning that anyone who interferes will instigate a thermonuclear World War III. Outstanding special effects and a name cast highlight this … space-frontier chiller that brings audiences to the terrifying edge of Doomsday. Burnt in Spanish subtitles.